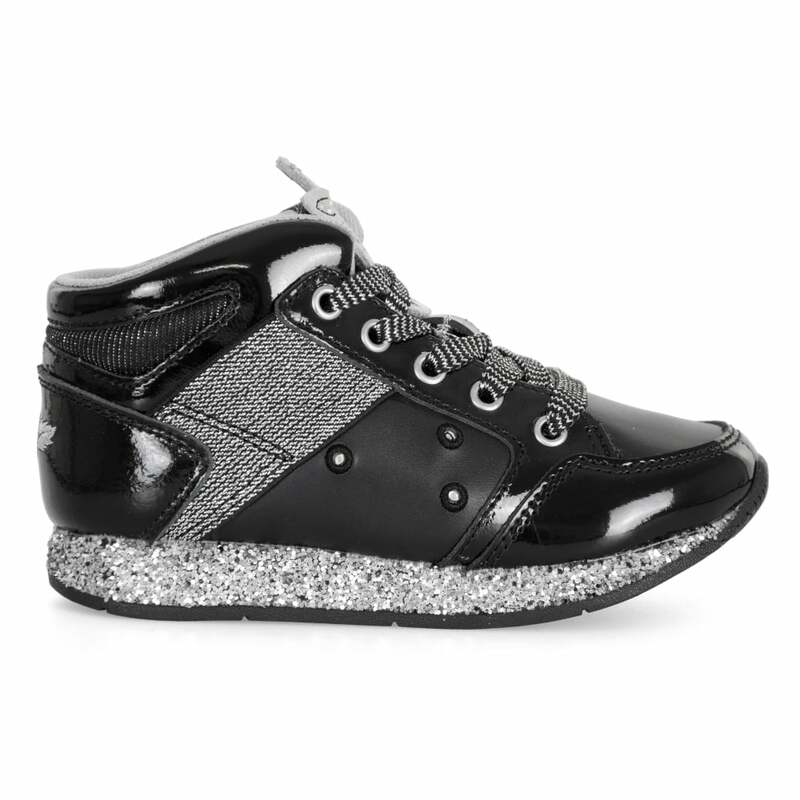 These lace-up Lelli Kelly Giraffe Trainers have a coated leather & synthetic upper and are black. They have a grey textile lining and silver/black glitter elasticated panels at the sides with step sensitive LED flashing lights at the outward facing side of the shoe. Lelli Kelly branding appears embroidered on the heel and the sole has silver glitter detail with a deeper textured tread for excellent grip.